Polycystic ovarian syndrome is a condition marked by changes in hormone levels. 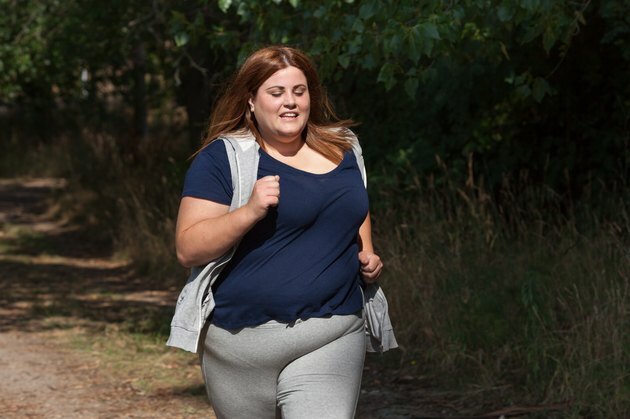 Many women with polycystic ovarian syndrome or PCOS suffer from obesity. Losing weight is an important part of treating PCOS but it can be difficult for women with this condition. If you have PCOS, weight loss medications can help you lose excess body weight and normalize your hormone levels. Polycystic ovarian syndrome is caused by the ovaries producing abnormally high levels of hormones known as androgens, which include testosterone. Although doctors do not know what causes polycystic ovarian syndrome, this condition appears to be linked to high levels of insulin, the Women's Health Information Center explains. Some women who have PCOS are obese, and the extra body fat can cause the body to be less sensitive to insulin, resulting in increased insulin levels that may contribute to the overproduction of testosterone. According to UpToDate, women who are obese and suffer from polycystic ovarian syndrome greatly benefit from losing weight. Weight loss of between 5 to 10 percent of your total body weight can help lower your insulin and androgen levels and improve the regularity of your menstrual cycle. Because of the hormonal imbalances caused by PCOS, losing weight can be difficult. As a result, weight loss medications may be used to help women who are having trouble losing weight through diet and exercise alone. One medication that can be used to help women with PCOS lose weight is Orlistat. According to MayoClinic.com, orlistat is the only weight loss medication approved for long-term use. Orlistat works by decreasing the absorption of dietary fat by the intestines. Dietary fat provides 9 calories per gram, so decreasing the amount of fat that the intestines absorb can greatly reduce the amount of calories your body gets from your diet. Phentermine and diethylproprion are two other weight loss medications that are anorectics, which mean that these medications suppress your appetite. Both medications come in extended-release and standard formulations, Pubmed Health explains. The extended release preparations only need to be taken once per day, whereas the standard tablets should be taken before each meal. By suppressing appetite, these pills make it easier for you to consume fewer calories. Both drugs are only approved for use in durations of 12 weeks or less.